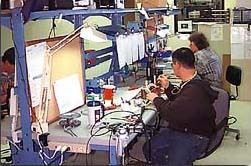 EFI Technology offers a wide range of engineering services to ensure that we meet the specific needs of our customers. We listen to your requirements and ideas and then we tailor our products to fit your application, incorporate your suggestions and build quality systems to improve your performance. All EFI Technology hardware and software is designed in house and can be tailored to meet the demands of your specific application. If you are looking for a custom design to meet your specific requirements or something new we can provide complete turnkey solutions. 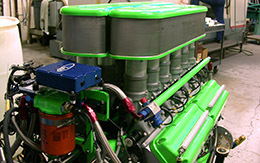 Our engineering staff are available to provide complete system training and support with setup and tuning on the dyno. We can provide assistance with engine setup and calibration to achieve maximum performance both on the dyno and at the track. Remote assistance is also available via iLink. This tool allows realtime ECU data to be sent to a remote location over the internet allowing EFI personnel to monitor your ECU, check engine sensors, read diagnostic codes, view your engine map and more. 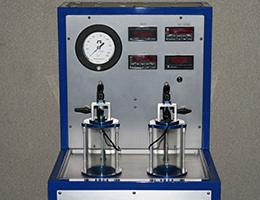 EFI Technology offers comprehensive injector flow testing and calibration services. Our engineering staff are also available to assist with correct injector selection for your application. We can clean and flow test any style injector and provide both static and dynamic fuel flow data. Our standard test conditions are at 72 psi fuel pressure and 14 volts battery. Injector fuel flow data at other pressures is available on request. We have custom current probe amplifiers and specialized test equipment available should the customer need to know our recommendations for the optimal peak and hold drive characteristics for your injectors. Our standard injector drivers utilize a 4:1 peak to hold drive current ratio up to a maximum of 12 amps. Custom ratios are sometimes required on large injectrors and we can tailor the drivers to meet those demands. EFI Technology is dedicated to ensuring that its customers get the maximum benefit out of their systems at all times. Our Technical Support Staff are available to answer questions on system installation, configuration and maintenance. Track support and on site programs are available for installation, system training and track side assistance. Support charges are based on travel expenses plus a daily flat rate. Support includes the use of track spares and equipment rental. All our race wire harnesses are engineered and manufactured in house to meet military specifications. Every design is tailored to meet each customers' specific application requirements. We use Raychem’s heat-shrinkable tubing instead of standard approaches to insulation and Spec 44 or 55 airframe wire is used exclusively throughout. EFI Technology specializes in the design of hardware and software for custom applications. Whether its tailoring an existing product to meet your specific requirements or creating a new design we offer complete turn key solutions. We also specialize in the design and manufacture of custom sensors. Please contact us directly at support@efitechnology.com for further information.